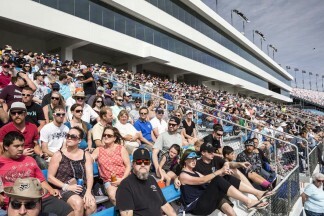 “What an emotional race weekend. 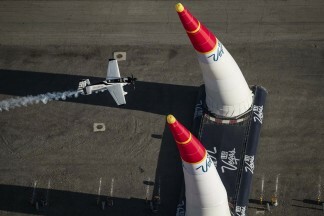 It was SO amazing to have flown and broken the track record (48.293 seconds). 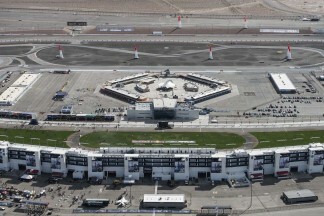 In fact, it was the fastest time ever flown in the three years we have raced in Vegas. 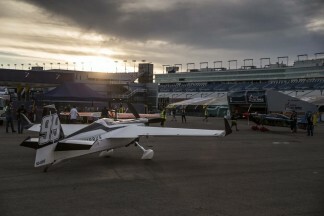 However, due to the high wind, the committee had to cancel the race with two pilots left to fly, so my time was awesome but there wasn’t a result for the race. Our team is very disappointed because perhaps today was our day to win. However, we can’t control the weather. I told my team that hardship makes champions. Today, our team had the same hard luck that we had all season which has tested us. But we are one step closer as a team to becoming champions. Thanks to all the folks who support and believe in us!! 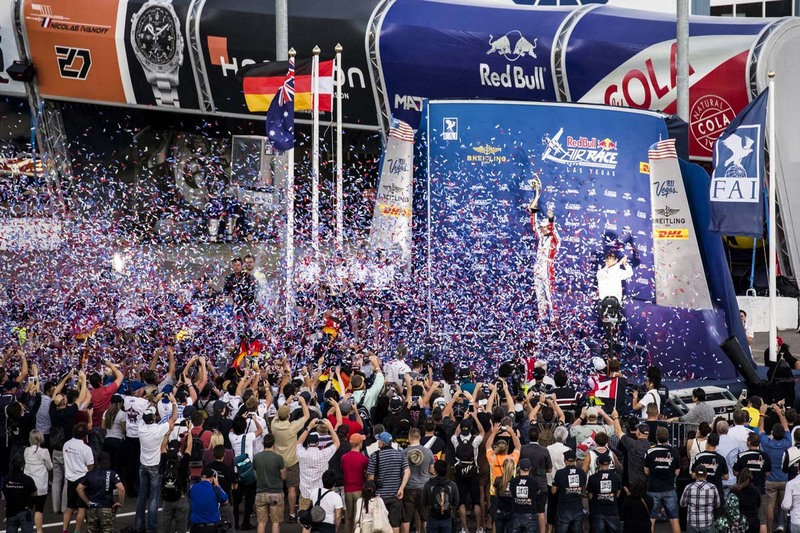 Matthias Dolderer was awarded Germany’s first Red Bull Air Race World Championship at the 2016 season finale in Las Vegas, USA on 16 October. 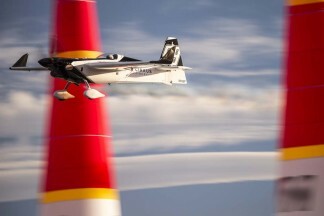 Meanwhile, the USA’s Michael Goulian and Kirby Chambliss were both in position to fight for a podium in the season’s final race, but Mother Nature had other ideas. 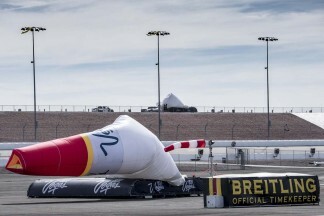 LAS VEGAS (USA) – On a wild and windy day at Las Vegas Motor Speedway, pilot Matthias Dolderer was crowned Germany’s first Red Bull Air Race World Champion. 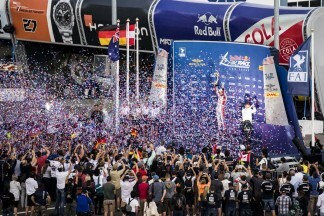 Australia’s Matt Hall, the only pilot able to challenge Dolderer’s dominance in the final stages of the season, shared the champagne from the second step of the podium. Third place was confirmed for Austria’s Hannes Arch, the former championship winner whose dynamic season was cut short when he perished in a helicopter accident in early September. 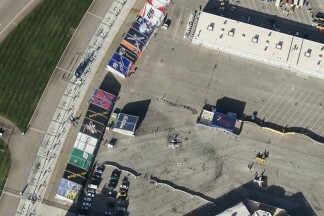 High winds and gusts above 30 knots (34 mph) had forced the Race Committee to delay all Race Day flying sessions. When a break in the conditions arose, the Air Gates went up and the pilots took off for the Round of 14, but the weather window closed before the final two pilots could fly through the racetrack. With the Round of 14 incomplete, the day’s results were invalid. Dolderer and Hall, however, had both clinched their season-leading positions before the finale, with the points they earned at the seventh stop of 2016 in Indianapolis, USA.